Minnesota is a state with a long history of industrial growth. Asbestos was once widely used throughout the state in many different industries because of its heat and fire resistant properties. More than 163,000 tons of asbestos was shipped into Minnesota throughout the 20th century. 120,000 tons were shipped from Libby, Montana in the form of asbestos-contaminated vermiculite. To date, Minnesota has had hundreds of sites state wide that have at one point reported asbestos exposure. The most notable was an area in the northeastern part of the state known as the Iron Range. Mining operations in the Iron Range date back to the 19th century. Natural Iron deposits contaminated with Amosite asbestos have been found near the counties of Itasca and St. Louis. The city of Aurora also holds natural Taconite deposits that are contaminated with Crocidolite Asbestos. Residents living close to naturally occurring asbestos sites and construction zones have also been unknowingly exposed to asbestos. The highest rates of asbestos exposure in the state of Minnesota occurred between the years 1920-1980, but new cases of exposures are still being reported. The highest amounts of asbestos were found in the counties of Hennepin, Ramsey, St. Louis, Dakota and Anoka. Asbestos was used extensively in mines, shipyards, oil refineries, construction sites, commercial buildings, factories, residential buildings, manufacturing plants, steel mills, power plants, iron mills, industrial plants, academic buildings, schools, libraries, museums, retirement homes, banks, and in many historic buildings. Many asbestos particles have been sent to landfills, posing a great threat to those who work at landfills and those who live in surrounding areas. The most notable landfills were Agate Lake Scrap Yard and the Olmsted County Sanitary Landfill. Minnesota Vermiculite Processing Plants exposed hundreds of people to dangerous levels of asbestos. Western Mineral Products Inc. gave away piles of asbestos-contaminated waste rock, leaving it in front of their facility for anyone to take. Minnesota locals used these materials in their driveways, gardens and other home projects, unaware that they were being exposed to asbestos. Reserve Mining Co. polluted Lake Superior for decades by dumping waste rock into the lake, contaminating local water sources. The mining company dumped 47 tons of waste rock into the water every minute for over 25 years. This water was used for everything, from drinking, to bathing. Asbestos particles that are ingested pose a significant threat to the abdominal region of the human body. Residents that used contaminated water are at risk for developing Peritoneal and Malignant Mesothelioma. Workers from many professions have been placed at risk of asbestos exposure. Exposure could have taken place at any time, from the initial construction of a building, to any renovation or during a demolition. The most common professions to suffer asbestos exposure include: insulators, plumbers, pipe fitters, shipyard workers, electricians, auto mechanics, airline mechanics, oil refinery workers, sheet metal workers, miners, military personnel, railroad workers, power plant workers and construction workers. Many people have spent years working alongside asbestos fibers and asbestos related products, often without their knowledge or any form of protective equipment. Minnesota workers even brought home asbestos fibers on their clothes and in their hair, subsequently exposing their friends and family members to dangerous levels of asbestos. Many industries relied on products that contained asbestos. Those employed were exposed to asbestos located in job sites and in equipment. Common pieces of equipment used containing asbestos particles were: Mining equipment, ship building equipment, engines, pipe fitting systems, electrical insulation, flooring, ceiling tiles, boilers, pipes, heating systems, furnaces, vents, paints, cement, roofing materials, brakes, drywall and any other heat or fire resistant clothing. Exposure to asbestos has been proven to cause a variety of fatal health conditions including Mesothelioma and Asbestosis. Mesothelioma is a form of cancer that has been linked to asbestos exposure; it is found in the tissues that surround the lungs, heart and abdomen. Symptoms can take upward to 40 years to manifest making a diagnosis difficult. Minnesota currently ranks 18th in the U.S. for Malignant Mesothelioma Deaths. Because of the delayed onset of symptoms, many Minnesota residents and workers are currently at risk. Minnesota residents exposed to asbestos as far back as the 1940s are still developing asbestos related illnesses today. Over the last 20 years, thousands of people in Minnesota have been injured by asbestos. More than 942 Minnesota residents have died from asbestos-related diseases, with over half of fatalities resulting from Mesothelioma. In Hennepin County alone, there have been over 210 asbestos-related deaths and 165 deaths resulted from Mesothelioma. Mesothelioma is an incurable disease with a brief life expectancy following a diagnosis. As the number of diagnosed cases of Mesothelioma increased, so did the number of lawsuits in the state of Minnesota. The statute of limitations to file a claim in Minnesota is 3 years from the occurrence of a wrongful death and 4 years from the date of a Mesothelioma diagnosis. Minnesota law entitles victims of asbestos exposure to receive compensation for damages related to any asbestos related injury. In order to receive the appropriate compensation, a law firm will need to know what type of mesothelioma one has been diagnosed with, if the disease can be treated, the dates of exposure, and where the exposure took place. Also any information regarding the types of products used that led to exposure and which companies could be held liable. This information can be attained through the combined efforts of a victim in need of compensation and the law firm that will represent them. $3,503,651 was awarded to a 60 year old Minnesota woman who was diagnosed with Mesothelioma. $3.7 Million dollars was awarded to a Minnesota Auto Mechanic that developed Mesothelioma after being exposed to asbestos. $7.5 Million dollars was awarded to a Minnesota woman that developed Malignant Mesothelioma from second hand asbestos exposure while washing her husband’s work clothing in the laundry. $2,678,424 was awarded to a 61 year old Indiana man who was diagnosed with Mesothelioma after being exposed to asbestos. $4.2 Million dollars was awarded to an Indiana Construction Worker who developed Mesothelioma at the age of 41. We help Mesothelioma patients and their families make educated decisions about how to start with filing asbestos and Mesothelioma claims. We will also recommend an experienced Michigan Mesothelioma Lawyer or Michigan Mesothelioma Doctor to help you get your claim started. We have helped many families get experienced legal and medical help for their Mesothelioma cancer and asbestos cancer cases. We will actually walk you through the process of contacting an experienced Michigan Mesothelioma lawyer that we have worked with to get you the best possible settlement for your Michigan Mesothelioma claim. Deciding which Michigan Mesothelioma law firm to represent you and your case is very important. Choosing the right lawyer will also be important to your Michigan Mesothelioma settlement. Many Mesothelioma and asbestos cancer cases in Michigan have settled with multi-million dollar verdicts. Mesothelioma cases are contingency based cases. This means that no money should be paid by you. Mesothelioma lawyers earn their money only if they win you case. You are entitled to an experienced Michigan Mesothelioma lawyer that has a track record of success in Michigan asbestos lawsuits. 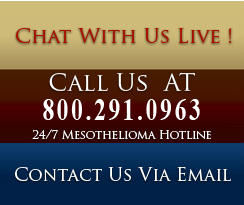 Experience - The Mesothelioma Help Center has been helping Michigan Mesothelioma victims and their families for more than 12 years. Asbestos companies knew of the dangers of asbestos exposure in Michigan for many years before ever warning the public of those risks. It is thought that around eight million people in the United States have been exposed to asbestos over the past half a century, and many more asbestos related cancer cases are expected to be reported in the next 25 years. We will walk you the process of getting connected with a Minnesota Mesothelioma Lawyer.